The fatal attraction of government is that it allows busybodies to impose decisions on others without paying any price themselves. That enables them to act as if there were no price, even when there are ruinous prices — paid by others. I think it’s important to present multiple, conflicting side of major world events. Since all – and I mean all – people are biased, this gives the best chance of reaching a close approximation of the truth. On Thursday, June 24, 2009 Michael Jackson, the self-proclaimed “King of Pop” died at the age of 50 from a cardiac arrest, possibly as a result of an overdose of Demerol. Michael Jackson’s remains will neither be buried nor cremated. 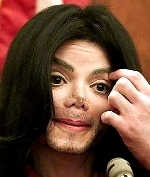 Instead Michael Jackson’s body will be recycled into shopping bags. On Friday, June 26, 2006, the vote for the abomination and act of treason euphemistically called the American Clean Energy Security Act passed on the House floor by a narrow margin of a mere seven votes. The final House vote was 219-212. Despite the Herculean patriotic efforts of Republican leader, John A. Boehner (R-OH), and despite 43 Democrats proving that at least some of their Party aren’t traitors by voting against this destructive legislation, the Liberals in the House of Representatives managed to push this America destroying piece of filth though. 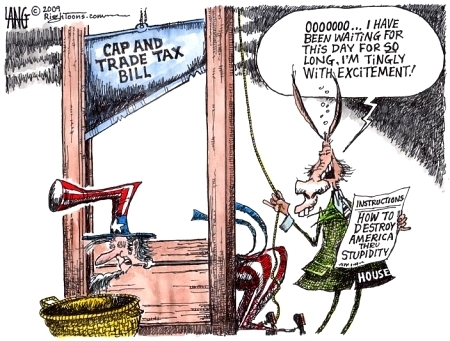 Despite the fact that, at literally the very last minute – 3:09 AM, Friday, June 26, 2006 – and with no time for any sort of review, Rep. Henry Waxman (D-CA) added a 300+ page amendment to the already 1000+ page bill, the Leftist maggots feasting on the fresh corpse of America got their Cap & Tax bill through the House. This abomination – Obamanation really, since President Obama and his Chief of Staff, Rahm Emanuel used every trick of Chicago politics to get it passed – largely because 8 Republicans proved themselves to be enemies of both Party and Nation by voting in favor of this evil, anti-American bill. Little boys grow up to into adult males; sometimes they actually grow up into Men. A very small few grow up to be President of the United States. In all cases though the answers to questions they had as a boy will be reflected in the answers to questions they have as adults. I call it the law of the instrument, and it may be formulated as follows: Give a small boy a hammer, and he will find that everything he encounters needs pounding. Web 2.0 and what is now called the “New Media” are swiftly becoming pervasive in the world. 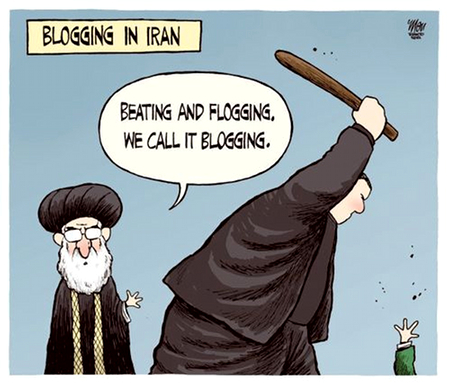 Even the Supreme Leader of Iran, Ayatollah Ali Khamenei, has taken up blogging.